The Golden Sparkle: GIVEAWAY TIME!!! Since there were so many of you who seemed interested in the Jilbere Vented Straightening/Cutting Comb I decided to do a giveaway. If you haven't already checked out my review for the comb click here to read that. The contest will run from now until Sunday 6, 2011. To enter: Just follow this blog and leave a comment telling your favorite tool to use on your hair. 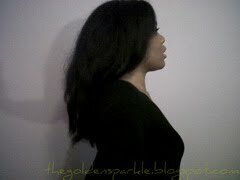 Favorite hair tool: I have to say my fav tool to use on my hair is my Denman D3 brush. It does a great job of detangling and smoothing my hair! My favorite tool to use on my hair is my wide tooth comb from Goody. MY FAVORITE TOOL IS THE TANGLE TEEZER, ITS GREAT FOR DETANGLING. My favorite tool to use on my hair is my flexi-rods or hair curlers, I am a old school girl who loves extra curls in my hair so using those items give the best curly look. My favorite tool is a wide tooth comb. my Youtube username is lexiblue82! My favorite tools to use on my hair are my fingers. I am so in love with how my hair feels. My favorite tools are: My Denman brush and Magnetic rollers. 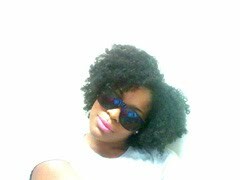 Email: brittneyholmes1@hotmail.com, Youtube:Mshoneydip88 My favorite hair tool to use is my Denman brush. Its great for detangling. My favorite tool is my afro pick that helps me get the volume I love! My favorite tool is my paddle denman brush! My favorite hair tool would have to be Ouidad's Double Detangler Comb!! love! love! love! my favorite tool is my wide tooth comb. My favorite tool to use on my hair is my flexi-rods. My favorite tool is my denman brush! It helps me to detangle in no time! My favorite hair tool are my fingers! They can separate my twist outs better than any comb and can hook up my wash and go! My favorite hair tool would have to be my hands/fingers. It always knows best. My favorite tool to use on my hair is my Tangle Teezer! I just wish it had a grip though. My favorite hair tool would have to be my fingers! My fingers detangle my hair, it helps define my curls with a little twirl! My fingers are in my hair like 24/7 (I know that bad! I am working on that)lol. I hope I win!! I love you blog & Your youtube channel!! Keep up the great work! 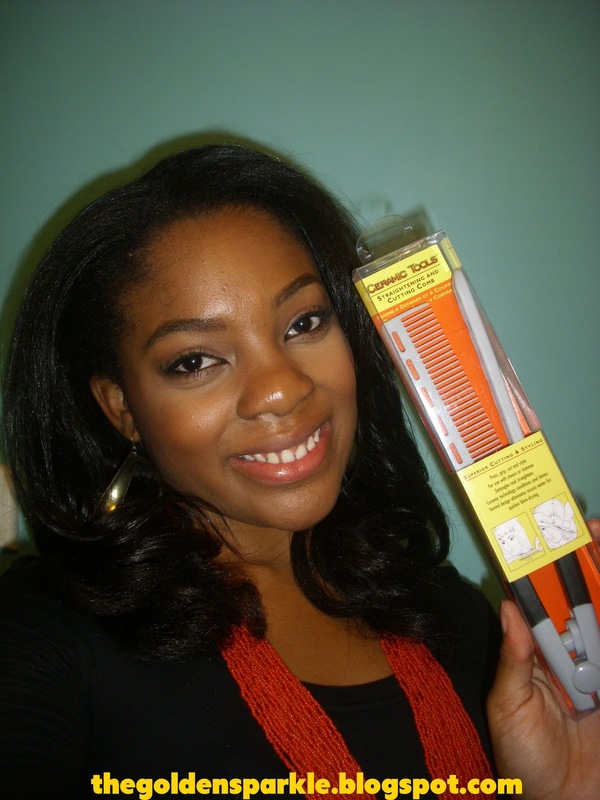 My favorite tool is my Jilbere shower comb for detangling my hair! I would have to say my favorite tool is my pink wide tooth comb.Its always there for me when my hair isn't. My fav hair tool to use are bobby pins!.. You cant do a hairstyle without them. My favorite tool to detangle is my fingers, I am still searching for a good detangling comb/brush. My favorite tool is my Denman brush! Hi! My favorite tool to use on my hair is my wide tooth comb by Conair! It gets all my shed hairs out! Hi! My fave tool to use on my hair is my fingers or widetooth comb. My favorite tool to use right now is my tangle teexer. It cuts my detangling time in half I love it!!! MY BLOW DRIER CANT LIVE WITHOUT IT! My favorite tool to use on my hair are bobby pins! I have them in my purse, car, and wherever I go. They take care of stray hairs and I can do up-dos and buns with them. They are essential! My favorite hair tool is my fingers! Best detangler. My favorite tool is my wide tooth shower comb. It never fails me when it comes to detangling!!! My favorite styling tool would my fingers...you can never go wrong with your fingers!! Recently, my favorite hair tool is my color applicator bottle which I use to apply my rhassoul treatment, diluted black soap to wash outside of the shower, oils, and other concocted goodies. My favorite tool is a rat tooth comb because i have been using the no comb method for some time now and so the point helps to part so that i am not combing....love it! My favourite product to use on my hair definatley has to be my wide toothed shower comb. I cannot live without it. My favorite tool would be my wide toothed comb! Such a godsend. My favorite tool is these TEN DIGITS (my fingers!) 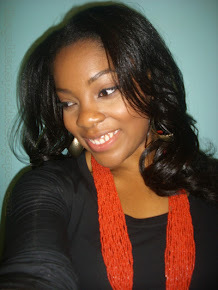 I feel that my hair gets less weathered and I can more easily feel for tangles, knots, etc. My favorite tools are bobby pins!! I love to do many styles and they come in handy!! My favorite tool would have to be my denman brush! I use it to detangle- don't know what I'd do without it! My favorite tool for my hair has to be my fingers! It's second to none....then my goody denman knock-off. I love using my wide tooth comb. I don't know what brand it is. I think I actually stole it from my mother in law's house. 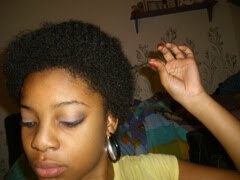 LOL....Anyway if it wasn't for my wide tooth comb I don't know what I would do with my hair. My favorite tool to use is my satin bonnet. I didn't start using it until watching youtube videos about how much of a necessity it was. I can't sleep without it now. My favorite tool is the Tangle Teezer...Love it!!! I have many favorite tools, from bobby pins, to satin scarves/bonnets. But the one that I use and that many consider a big no no is the rat tail comb. I use it a lot when styling, either the end for parting, or the comb for smoothing my hair (of course after I have detangled and it is small sections) so that is probably my favorite. My favorite tool to use is the tangle teezer. It makes the detangling process a breeze! Love it! My favorite tool is my wide tooth comb with a rat tail at the end. My favorit tool is banana clip. Hi I'm Jennifer Williams. My favorite hair tool will have to be my fingers because its the best way to find those little knots and gently De-tangle. I'm still transitioning but my favorite hair tool is my wide tooth comb. It makes detangling 5x easier. My favorite hair tool are my satin rollers. LaNeshe here, laneshe@nesheaholic.com. My favorite tool right now is my wide tooth comb. Favorite tool: its a tie between my trusty Denman brush and my handy dandy spray bottle (water and my favorite leave-in conditioner), with those two I never go wrong! Favorite tool:I love my Denman brush and although water isn't technically a tool, I love to use it too. Favorite tool, side combs! They hold my hair in place w/o using thousands of bobby pins! I always use to style with. My favorite hair tools are my fingers.... not really sure if they are considered tools, but I use them the most and they are my favorite. My favorite tool is my wide tool comb. I got it at a hair store for like a dollar. Don't think it's name brand. My Favorite tool is the tangle teezer. 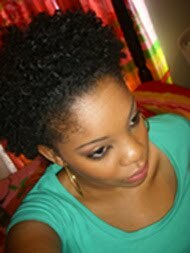 I just love the way it defines my curls and detangles my hair without inflicting pain to my head. Just AMAZING !!! My favorite hair tool is my satin bonnet for always protecting my hair. My favorite hair tool has to be my denman brush. I know alot of people said the same thing, but it gets the job done. My favorite hair tool is my Goody version of the Denman. It detangles and smoothes like nothing else I've tried. My Denman brush is my favorite hair tool!!! My favorite hair tool will definitely be my water bottle. The water makes my hair manageable and easy to work with! My favorite hair tool would be my hands. They are very convenient and helps with almost everything. My favorite tool to use is. The butterfly clamps, for when I separate my hair. My favorite hair tool is my paddle brush its blue, detangles my hair, and defines my curls. my favorite hair tool is my fake denman brush hehe, it smootens my hair really nicely, and also mywide tooth comb because it helps with detangling my hair in the shower!!! Rai (rai_dav4 at yahoo dot com) My fave tool is a wide-tooth comb as well. My favorite hair tool is definitely my tangle teaser! It's made washing and detangling my hair so much easier! Not long after purchasing mine, I bought three of them to give away because they're amazing :-). My favorite hair tools are my hair clips. I have REALLY thick hair, and they help me section my hair off. 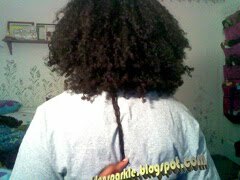 Cuts down my detangaling time by half!